The majority of natural gas use on campus is for space heating, production of domestic hot water, cooking, and heating of swimming pools. 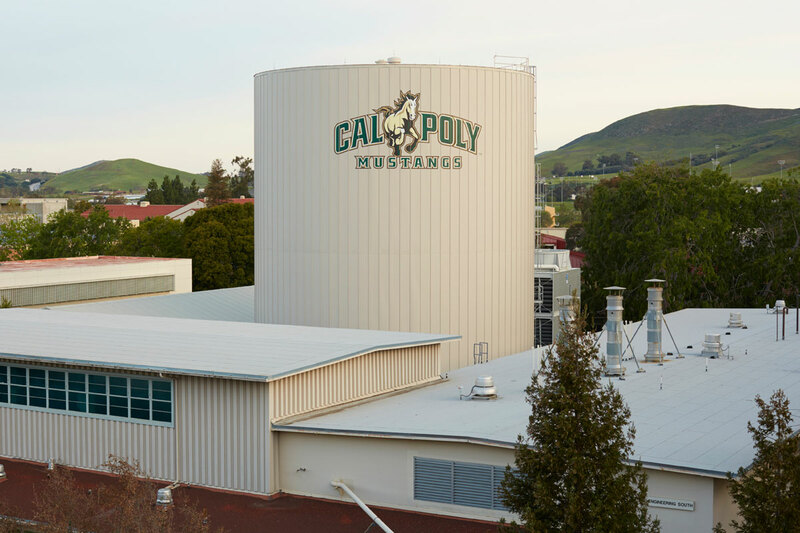 Cal Poly has eight separate natural gas service accounts and receives service from the Southern California Gas Company. Natural gas commodity procurement for the larger service accounts (greater than 250,000 therms per year usage) is provided by the California Department of General Services (DSG) as part of a managed portfolio including nearly all Cal State University and University of California campuses, California State administrative buildings, California Department of Corrections, and various cities, counties, and school districts. DGS's Natural Gas Service program monitors the gas commodity market, and manages a gas procurement portfolio with a blend of short-term and long-term purchases based on market conditions and price and production forecasts. This procurement strategy typically results in a modest cost savings compared to the open market, while significantly reducing exposure to market fluctuations and volatility. Natural gas service for the small accounts (less than 250,000 therms per year) is performed entirely by So Cal Gas. All campus gas distribution systems (beyond the utility-owned meter) are maintained by the campus Plumbing Shop. Cal Poly maintains extensive historical data on natural gas consumption. Cogeneration, or Combined Heat and Power (CHP), is a technology in which a single system and fuel source are used to provide two useful energy outputs at the same time. Conventional simple cycle utility power plants, such as the Diablo Canyon nuclear power plant, must dispose of their waste heat to the atmosphere, ocean, lakes, or rivers. These large scale utility power plants typically have total system efficiencies of approximately 35%, meaning that 65% of the energy available in the fuel is wasted, resulting in increased greenhouse gas emissions and other environmental impacts. Cogeneration systems seek to capture this waste heat and use it for space heating, production of hot water, heating of swimming pools, or other process use. Cogeneration systems are capable of total system efficiencies of 80% or more, resulting in significant energy cost savings, and reduced greenhouse gas emissions. Cal Poly has two cogeneration facilities in the Housing areas that provide combined heat and power to student dormitories and apartments. The Sierra Madre cogen system, constructed in 1984, is a 350 kW unit driven by a natural gas fired Caterpillar reciprocating engine. The system has been in operation for 25 years, generating approximately 1,900,000 kWh of electricity per year – enough to power 170 average homes. It provides electricity for the Sierra Madre dorms and when electricity demands are low, backfeeds power into the campus distribution system for use in other dorm buildings. The system also provides space heating and domestic hot water for Sierra Madre and Yosemite dorms. The Poly Canyon Village cogeneration system, completed in 2009, is a 500 kW system comprised of two 250 kW Stowell Distributed Power units, using natural gas fired reciprocating engines manufactured by Man. This cogen system is expected to produce 1,900,000 kWh of electricity per year – enough to power 170 average homes. The system also provides space heating, domestic hot water, and heating for a student recreation swimming pool.